We see and use coupons everyday to get as much discount as we can on our purchases. It’s quite a useful marketing gimmick to increase your sales. But what’s wrong with coupons? I usually don’t know what to do with these coupons. Do I cut them? Isn’t that what my grandma used to do? This experience can be immensely improved using a QR Code Coupon instead. What is a QR Code Coupon? A QR Code is a 2D barcode which can be scanned using a smartphone application. When a user scans this code, she is redirected to dynamic content such as websites, photos, videos, or music. A QR Code Coupon is simply a QR Code which redirects the user to a mobile coupon page which has the coupon code and other information such as offer description, etc. A coupon QR Code, just like other types of QR Codes, makes it easier for users to take an action. How is it better for my potential customers? How can it benefit the marketer? There are numerous other possibilities depending on the creativity of the marketer. However, it is possible only via a QR Code Coupon. 1. 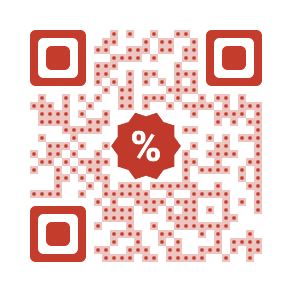 Go to the QR Code Coupon Generator. 2. 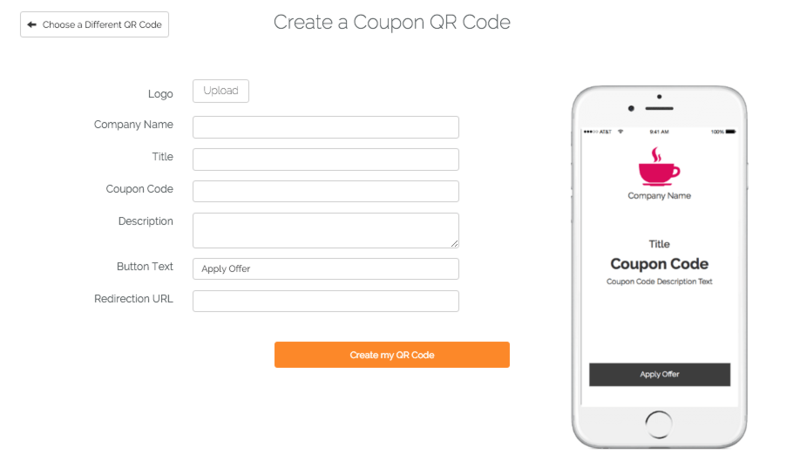 You can customize the mobile coupon by adding details such as brand logo, company name, coupon title, coupon code, coupon description, and a redirection button. Fill these details and click on Create my QR Code. 7. To edit the details of the coupon, find the QR Code in the Campaign Manager (from the side-bar on the left) under the Default Campaign. Note that you should be logged into your account. Also see how you can create single-use mobile coupons or tickets.